Showings on now! Open house sunday 2-4, Otp wednesday aug 29th. There is no other way to put this: AWESOME HOUSE! 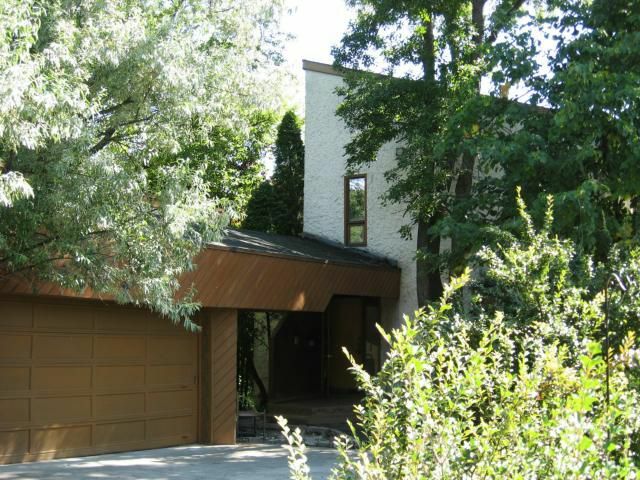 It's a 2000+sqft modernist, architecturally designed house on a 200+ft lot on the assiniboine river. To list some of its many features:gleaming maple floors and cabinets, vaulted ceilings, enormous picture windows, massive kitchen (20x15) with center island and cooktop/deepfryer, walk out basement with jacuzzi hot tub, cedar closet, marble floor entrance, triple garage (28w), brick fireplace, laundry shoot, piled foundation, 2 seperate lofts, multiple closets for extra storage, 2 balconies, sunroom, alarm/motion detectors, central vac, central air, intercom system, steam shower, 3 huge bedrooms, office off master, 3 bathrooms including spa-like ensuite, magnificent views of the river and local deer families, newer furnace and shingles, extra parking, 200meters from the St. Charles golfcourse, park-like back yard, a 2 minute drive to portage avenue yet absolutely no traffic noise & MORE! !